In these lessons, students will engage with the themes and ideas at the heart of the text, including magic, madness and marriage. Tasks include: a debate about the play's problematic 'happy ending'; a close reading of Oberon and Titania's first meeting in Act 2, Scene 1; and a card game which will help connect themes to characters and text. Can I list some of the key themes of A Midsummer Night’s Dream? Display the Props PowerPoint, which shows images connected to the plot of A Midsummer Night’s Dream (this is available in the Downloads section at the bottom of this page). Students should first of all identify as many items as they can from the montage, e.g. a flower, a donkey’s head. Secondly, they should pick out as many ideas, themes and issues as they can that are suggested by the images in the montage, e.g. love, magic, transformation. Students are given pieces of paper with some key themes written on them which represent plaques for statues, e.g. love, family, magic, marriage, power, identity, foolery, etc. Students work in pairs or threes to sculpt themselves into tableaux (or freeze-frames) representing statues. Which statues would Duke Theseus or Hippolyta choose? Which statues would Oberon or Titania choose? As an extension activity, students could embellish the plaques by having an appropriate quotation from the play engraved onto them. Theme statue templates are available in the Student Booklet. What would I say are the main themes in A Midsummer Night’s Dream? Ask students – singularly or in groups of two or three – to write 14 lines of tetrameter in rhyming couplets that summarise the main themes of the play. They should use Puck’s final words as a model. Puck closes the play with a speech that serves as an epilogue. Students could compare his words with Prospero’s epilogue at the end of The Tempest. Each of the themes mentioned in this suggested learning sequence has a dedicated lesson within these materials. In depth activities linked to ‘Love’ and ‘Magic’ follow here in the Key Stage 3 section. Look in the Key Stage 4 Themes Lesson Plans for sections about ‘Marriage, order and society’, ‘Illusion and reality’, ‘Sense and madness’ and ‘Identity and change’, and for detailed guidance on writing about themes. Can I investigate how Shakespeare explores the theme of love in A Midsummer Night’s Dream? Ask students to compare what they know about the two plays A Midsummer Night’s Dream and Romeo and Juliet, both written at around the same time by Shakespeare. How are the plots of the two plays similar and how are they different? In what sense is Shakespeare looking at similar themes, ideas and issues in the two plays? To what extent does ‘Pyramus and Thisbe’ echo the plot of Romeo and Juliet? Ask students to investigate how characters in the play express their love for each other using the ten quotations printed in the Student Booklet as the basis for their analysis. What conclusions can they draw about the language, motifs and tone used to express sincere love, attachment and devotion? For this activity, students will closely read and analyse extracts from Act 3 Scene 1 and Act 4 Scene 1, which depict the ‘love’ between Titania and Bottom. You should model a close analysis of the first extract, and students could work more independently in groups looking for textual evidence in the second one. For both extracts, students should annotate the text to explore how Shakespeare parodies the language of love in these scenes. They should then write a paragraph analysing how this is achieved as per the instructions in the Student Booklet. What do they think of the play’s ending? Do Demetrius and Helena truly love each other at the end of the play? Look for evidence of how Shakespeare uses language in the closing scenes of the play to establish the idea of a true and lasting bond between these characters. Compare Demetrius and Helena’s relationship with what brings the play’s other ‘couples’ together, e.g. 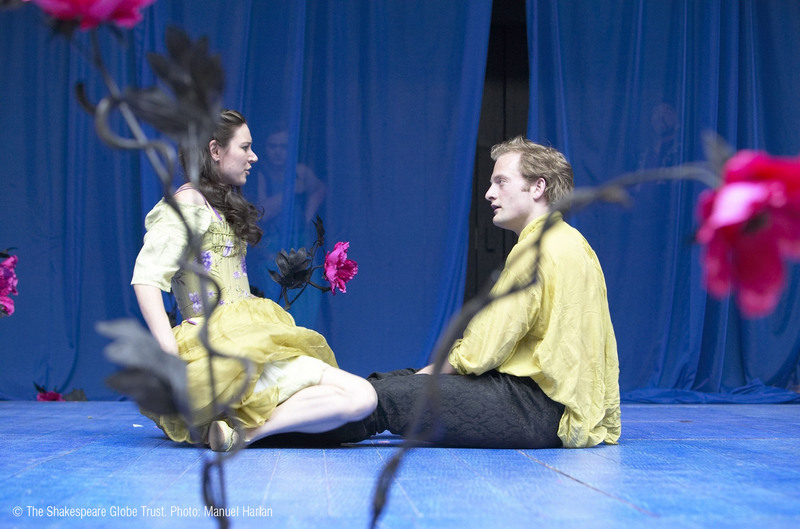 Titania and Bottom, Hermia and Lysander, Theseus and Hippolyta. In what different ways does Shakespeare write about love in this play? To what extent might we describe this play using the modern phrase ‘a romantic comedy’? Create a colourful, illustrated mindmap with the word ‘love’ in the middle. Reflect the importance of this theme in the play in terms of characters and their situations, relationships and motivations. Students should ensure that they include key quotations and consider the various characters and plotlines, such as the play-within-a-play. In the Key Stage 4 Historical and Social Context Lesson Plans, you will find further activities relating to the plot and sources of ‘Pyramus and Thisbe’. Can I investigate how Shakespeare explores the theme of magic in A Midsummer Night’s Dream? Suggest to students that they are going to be investigating the existence of magical activity in the play. Ask students to find clues as fast as they can, i.e. words or phrases that suggest that magic is present. List them hurriedly on the board to create a sense of excitement! Clues might include references to the magical ‘juice’ or ‘liquor’, or Puck’s ability to travel around the world in forty minutes. Students could do some warm-up drama games to support them in thinking about the power of magic, the magical woodland setting, and the dramatic and sudden effects of magic on the play’s characters! The following suggestions are taken from Jessica Swale’s book Drama games for classrooms and workshops. More detailed descriptions of the games are provided in the downloadable Lesson Plan. Ask students to list the various magical transformations that occur in the play (including the corrective antidotes!) 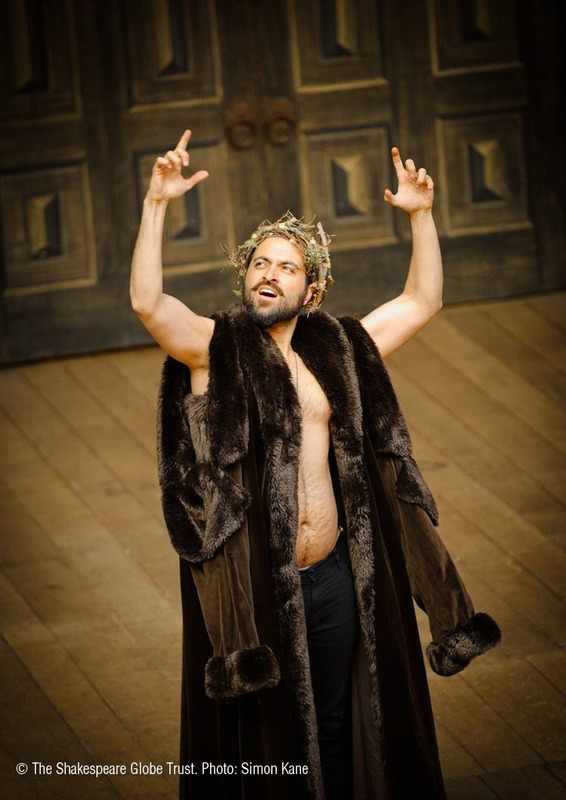 Students could then watch footage from the 2012 Globe production of the play (perhaps comparing this with clips from other versions). How are the transformations staged? What effects do these transformations have on the audience? What roles do costume, make-up, wigs, lighting, music, etc. play in the transformation? How do the actors convey to the audience that they have undergone a change? Students could choose one pivotal moment of transformation and write detailed ‘prompt book’-style annotations, showing how they would stage this particular moment in their own production. How important is magic in this play? How do you think modern audiences usually react to the supernatural elements in the play? What about in Shakespeare’s time? Students could now brainstorm all the different words and events in the play that connect to the theme of magic. Given the play in question and the topic, students could make their word webs look as magical as possible! Take feedback and encourage students to add to their own word webs in the light of others’ feedback. Students could reflect on the importance – and the dramatic power – of other transformations in Shakespeare. These can be magical or otherwise, e.g. Ariel turning into the harpy in The Tempest, Hermione’s apparent return from the dead in The Winter’s Tale, Malvolio’s appearance wearing yellow stockings in Twelfth Night. You will find further materials within the Key Stage 4 Themes Lesson Plans (Illusion and Reality). There are also numerous activities relating to the fairy characters in both the Key Stage 3 and the Key Stage 4 materials for this play.